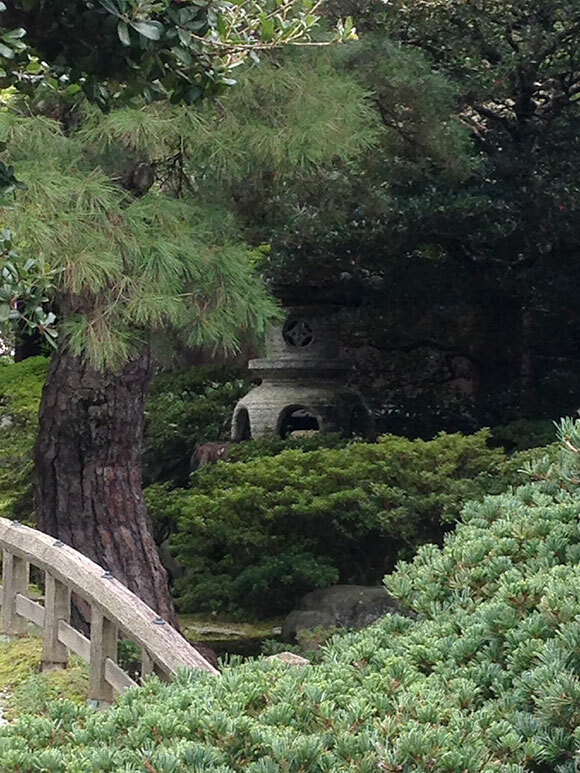 Recently I had the amazing opportunity to spend two weeks in Kyoto, Japan, attending the Japanese Garden Intensive Seminar offered by the Research Center for Japanese Garden Art & Historical Heritage. 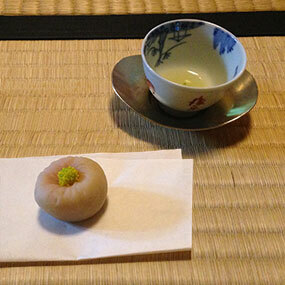 A small treat prepares the palette for the sweet and astringent taste of sencha. The idea is to savor the flavor of the tea from the few drops served in these tiny cups. The seminar began full force the day after I arrived in Kyoto after a 16-hour flight and a 14-hour time change. A sencha tea ceremony was very cleverly scheduled for our first day to combat the heavy jet lag we all felt. 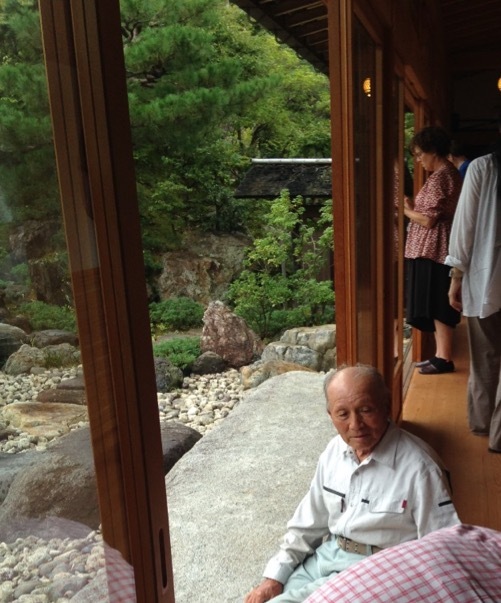 Ogawa Kashin founded the Ogawa school of sencha tea ceremony in Kyoto about 200 years ago. Kashin devised his own tea-brewing rituals and became celebrated as an original-minded tea master with modern ideals. 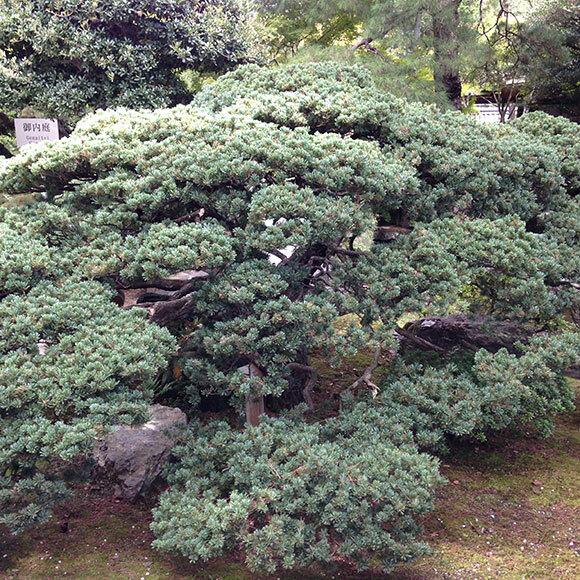 In the following days, we visited many gardens and temples and attended lectures. It’d be hard to mention every one of them in the space of this blog so I picked a few I found particularly impressive and transformative. Registered as a World Cultural Heritage Site, the pavilion takes your breath away. 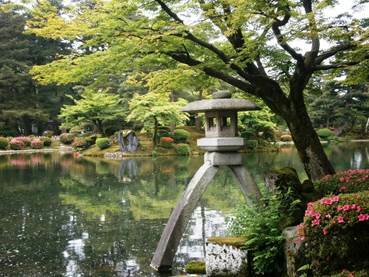 Tokushirou Tamane, the 82-year-old head gardener, is equally extraordinary. He allowed us into paths closed to the general public to take in the views of the pavilion and the surrounding gardens from the best angles possible. 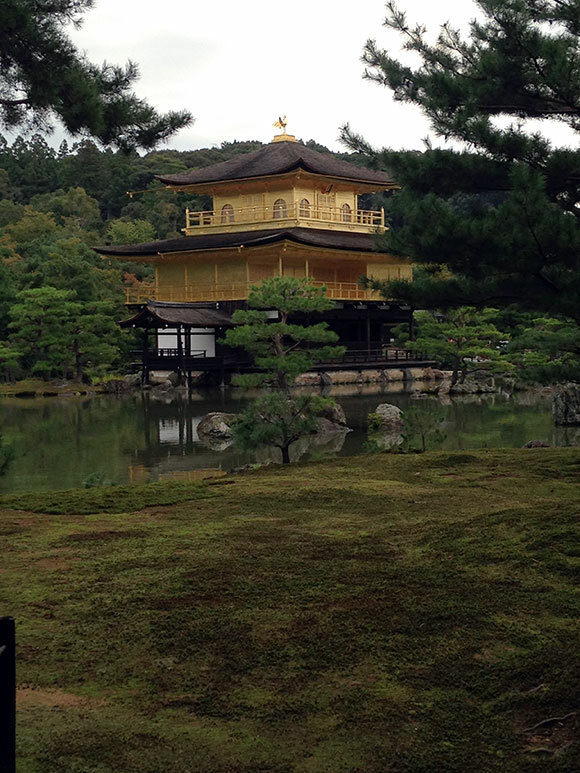 The garden and the buildings, centered on the Golden Pavilion, represent the “pure land” of Buddha in this world. 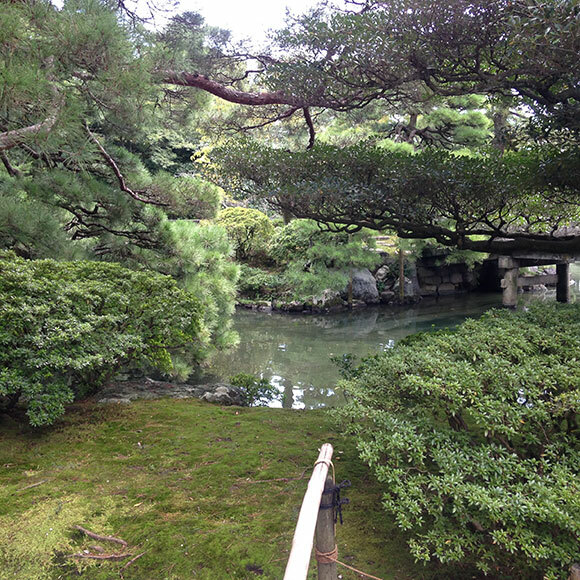 This garden is located at the living quarters of the emperor, the Otsunegoten, inside the Kyoto Imperial Palace. 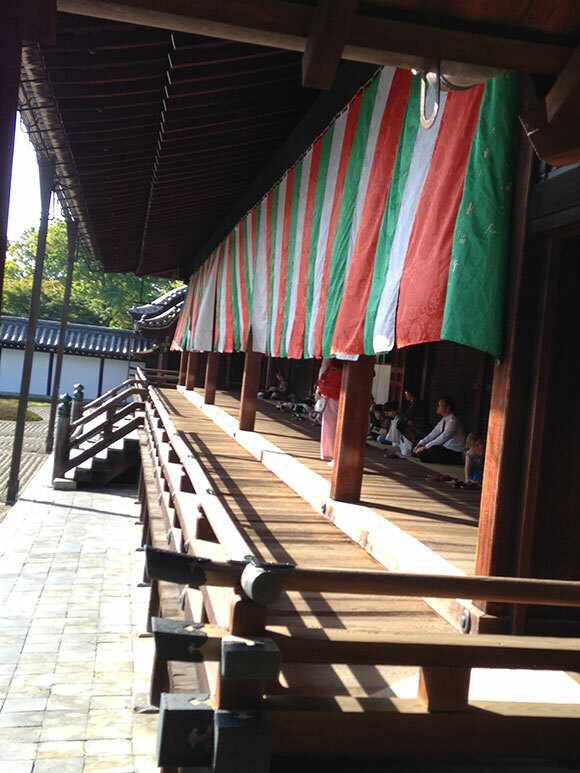 The building houses the imperial sleeping chamber and the room with the sacred sword and the seal. As the emperor’s private garden, it feels very intimate, with a meandering stream spanned by earthen and wooden bridges. 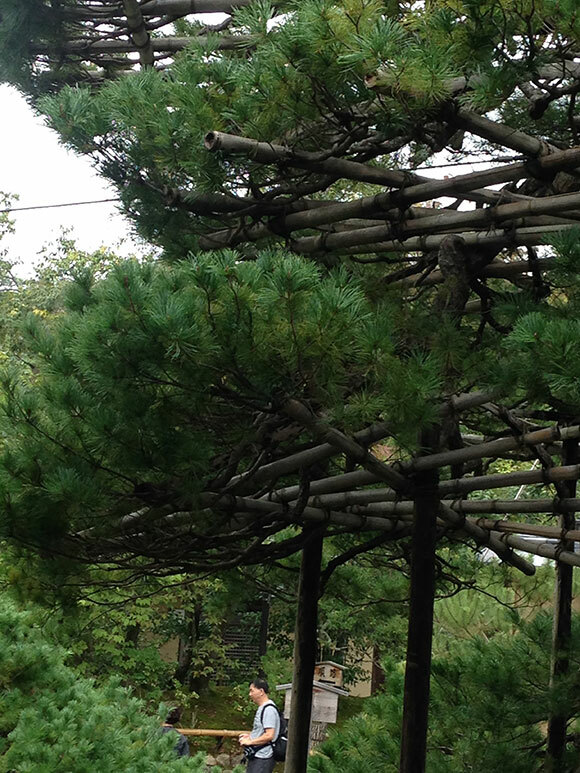 Beautifully pruned pines and shrubs and charming accents carefully placed throughout the garden create a space where one can spend hours gazing at each detail. some hidden, to be discovered. 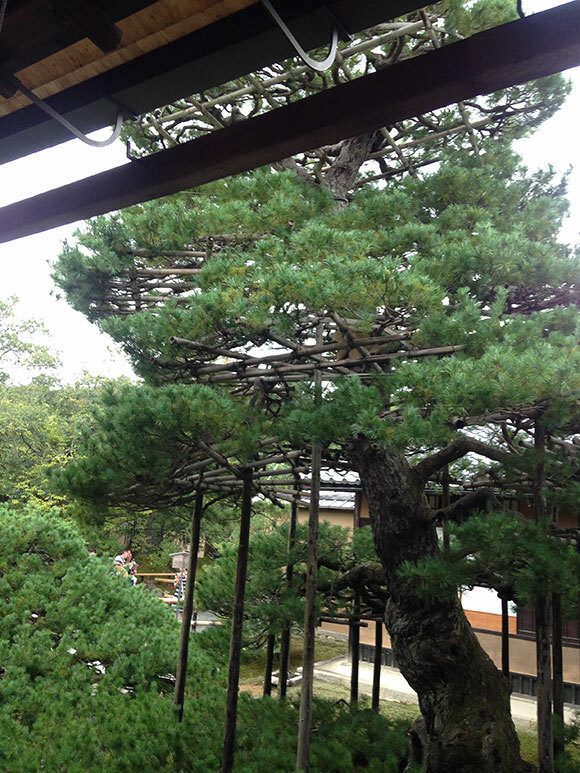 Located in the foothills of the east side of Kyoto, this temple was established in 1482 by Ashikaga Yoshimasa. He intended to cover the pavilion in silver leaf. Although it was never plated with silver, the pavilion, an unpainted brown, looks over the flawlessly raked sand, Ginsyadan; and the white sand, Mt. Fuji-shaped Kongetsudai. 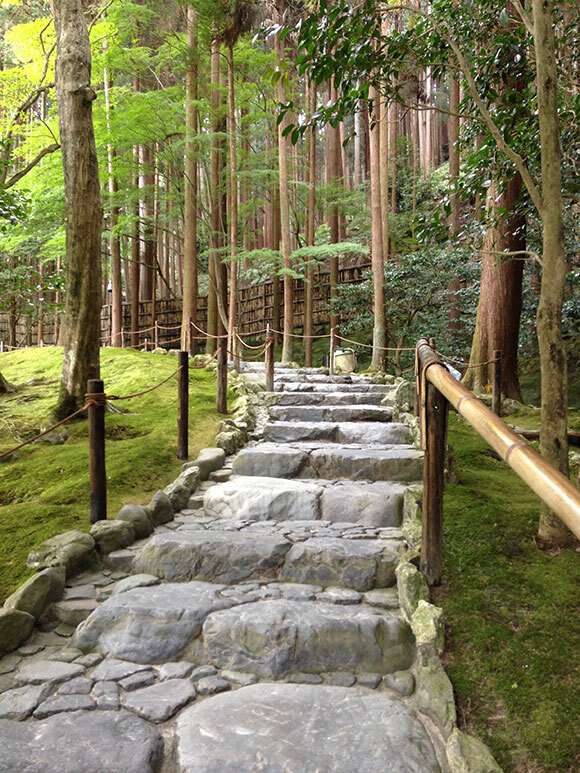 Ginsyadan and Kongetsudai are truly enchanting. 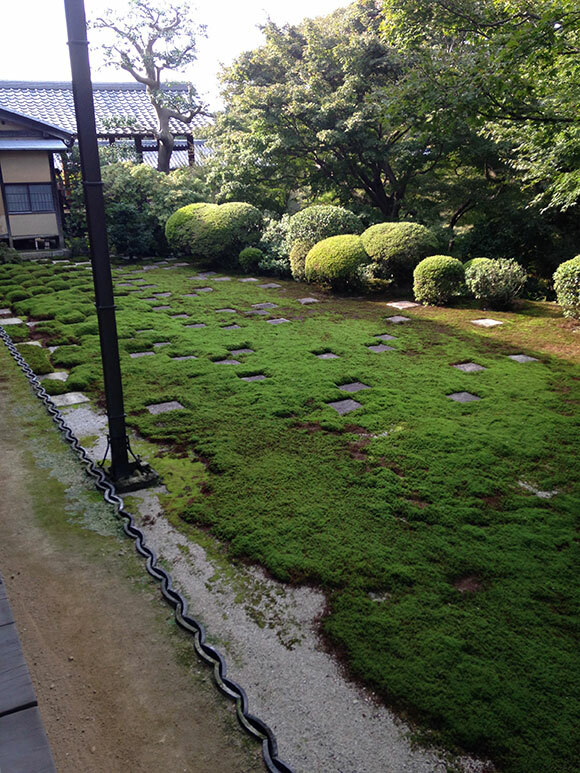 The gardener in blue uniform in the center of the photo is sweeping the moss, a common sight at all the gardens I visited. 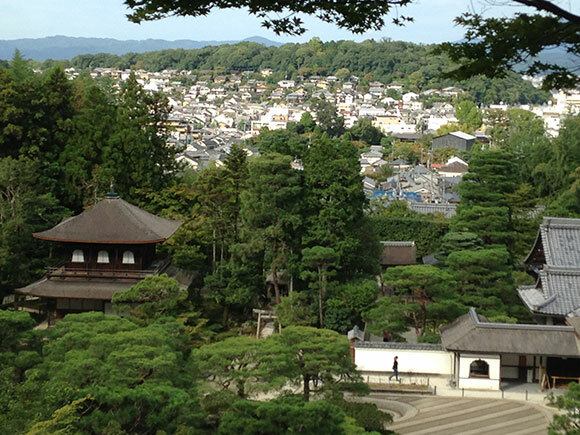 magnificent views of Ginkaku-ji and the surrounding area. 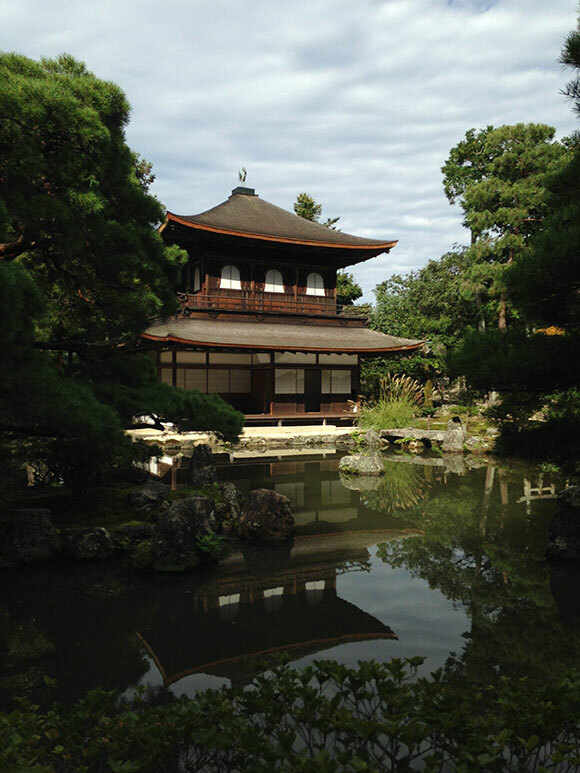 The Hojo (Abbot’s Hall) at Tofuku-ji Temple was rebuilt in 1890 and Shigemori Mirei, a famous garden designer, laid out the four gardens that surround the building. 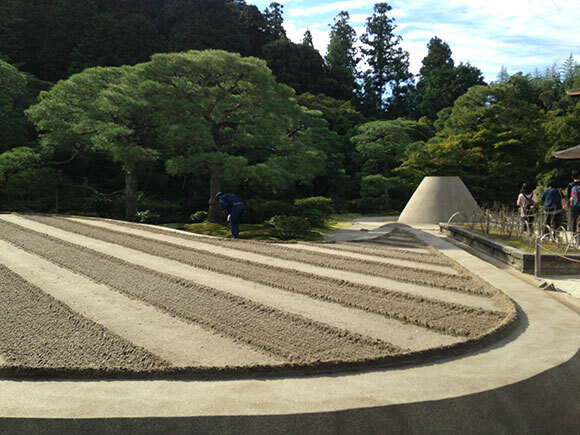 He combined tradition and abstractionism to create these contemporary Zen gardens. The eastern garden of Tofuku-ji’s Hojo, with the temple’s foundation pillars, and the western garden with square azalea shrubs, reflect an ancient Chinese way of land division. 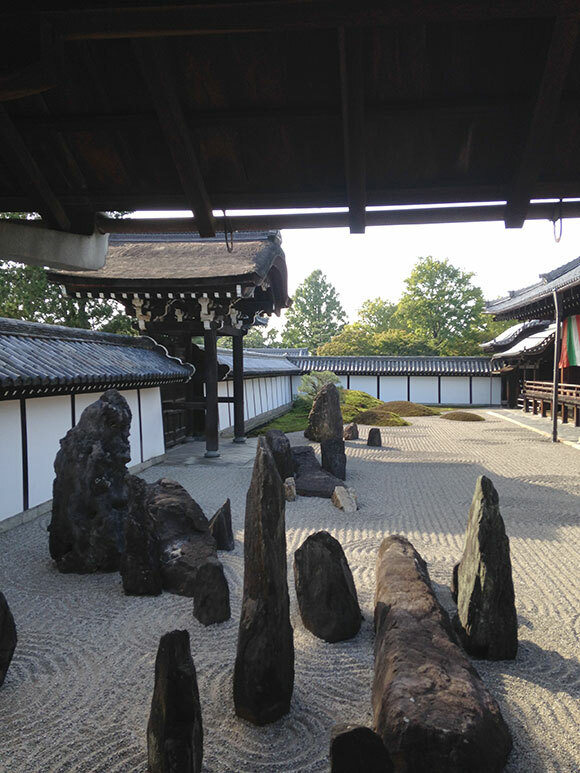 The southern garden showcases a cluster of forceful rock groupings and moss-covered mounds. Visitors sit quietly gazing out at the dry garden. 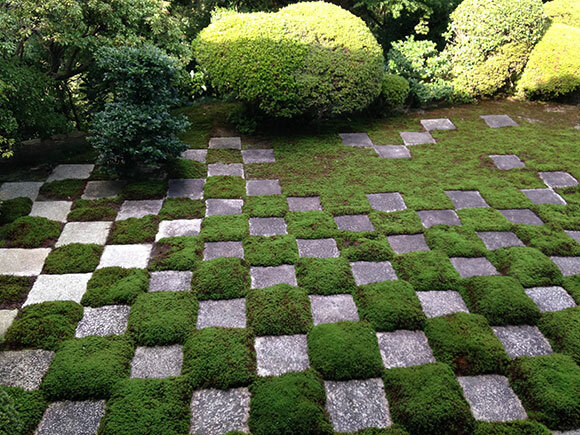 My most favorite—the northern garden—uses foundation rocks and moss in an irregular checkered pattern. The design, very minimalistic and modern, captures visitors as much as the southern dry garden with its giant rocks and mossy hills. The seminar also included a visit to a cloisonné museum, a stone cutter’s studio, and a trip to Ashu forest for an all-day garden-making workshop. 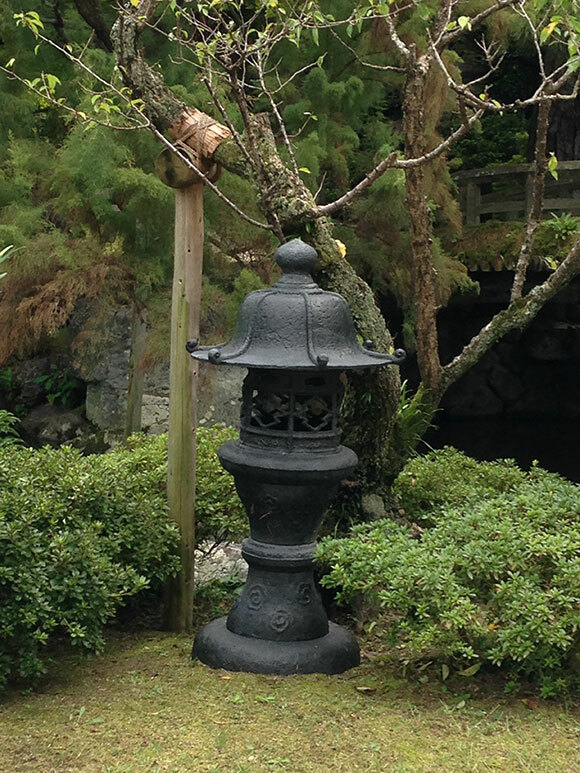 Kinzo Nishimura, a fourth-generation stone lantern maker, designed the famous lantern at Kenroku-en. 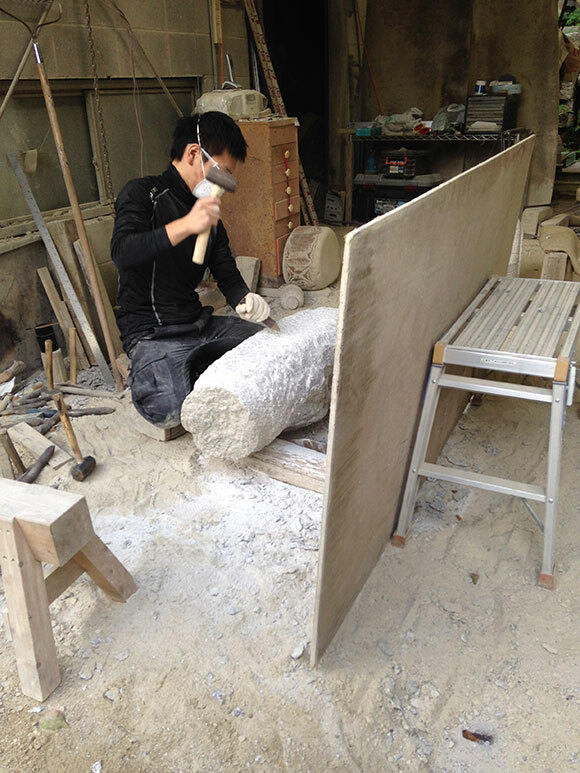 All lanterns at his workshop are chiseled by hand. 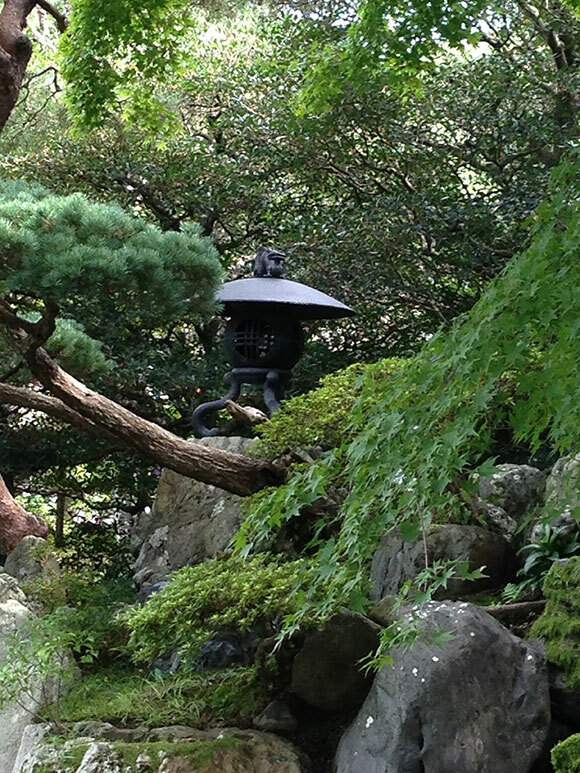 Seeing these world-famous gardens in person, attending lectures, and being immersed in a fascinating culture will make me a better and a more well-rounded Japanese gardener. I have a much better grasp now on certain features of my garden and why they became a part of the original design. 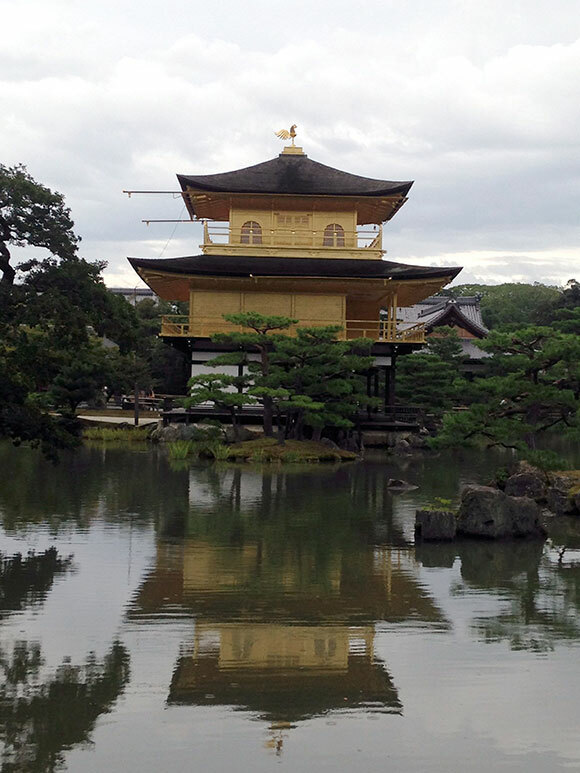 I also loved Kyoto as a town, with its lush mountains always in view and ever-present water in the form of rivers, streams, and canals. I already have a list of gardens I will visit next time I’m in town. 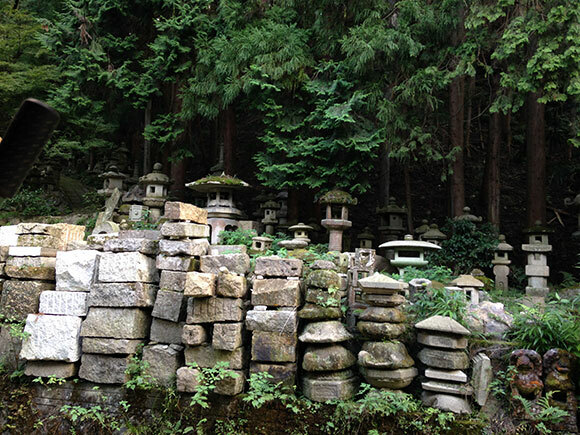 Finished lanterns dwell between the forest and unworked stone in the foreground.